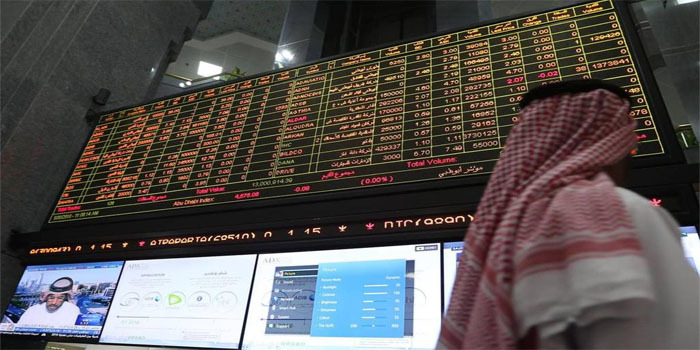 The Abu Dhabi Securities Exchange (ADX) ended Monday’s trading session in green territory, encouraged by the growth of the banks, real estate, and energy sectors. The general index grew 1.8%, or 89.45 points, ending the second session of the week at 5,066.74 points. The ADX’s trading volume reached 63.304 million shares exchanged with a turnover of AED 208.667 million through 1,938 transactions. The banks sector topped the risers after adding 2.685 as First Abu Dhabi Bank (FAB) and Abu Dhabi Commercial Bank (ADCB) went up 3.02% and 2.04%, respectively. Similarly, the energy sector levelled up 1.52% as ADNOC Distribution and Dana Gas grew 1.85% and 1.84%, respectively, while the real estate sector went up 1.36% on the back of Aldar Properties’ 1.57% increase. Meanwhile, the investment sector headed decliners with 1.40% as Al Waha Capital plunged 1.54%.